DMD EDU-HOME (2009). An Evening of Old Cape Traditional Music, Baxter Concert Hall, 13 May 1985. DMD EDU-HOME (2009). 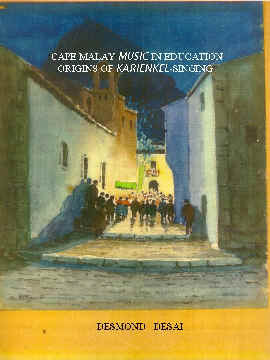 Unshackled: A Cape Muslim Musical Chronology in the Endler Hall, 9 March 2003. LAUNCH DATE: DVD's in 2009 ; BOOK : WHEN THE TIME IS RIGHT! 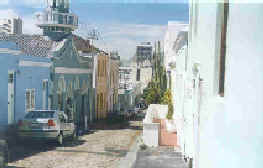 Two scenes from the Malay Quarter (Bo-Kaap), Cape Town. I received a request from one of the top South African musicologists, to write an article on ANY topic on the Eoan group. This resulted in my article “The Eoan Group: A Fading Gem? !” which I completed in December 2008 already. 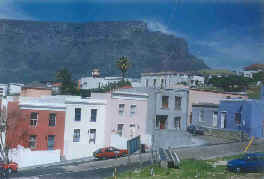 The following persons were consulted, which I list more or less in the order of my research process: Ronnie Theys, Tilly Kroneberg, who directed me to Derek Weber as well as: Peter Voges, Fred Martin, Ruth Manca (married Grevler), May Martin, Lydia Johnson, John van der Ross, Nick Basson, Vera Gow (married Adams) , Abeedah Parker (married Sony). While Lydia Johnson and Vera Gow provided me with substantial information, I spend a lot of time with Ruth Manca and Abeedah Parker. Ruth and her husband provided me with a number of Eoan recordings, which provided several leads for further research. A large portion of my research was done on the basic of documents held at the UCT Archives and CT Libraries.